taking the song to the top of the charts in a matter of weeks. It’s still a little hard for me to think of Darius Rucker as a solo country act. He originally made his mark on the music world as lead singer and rhythm guitarist of the rock band Hootie & the Blowfish, a group he founded in 1986, when he was 20 years old. That group released five studio albums and put six songs on the top 40 charts. It is very obvious that Darius, now 47, found his calling when he moved over to the country side of life. In 2008, he signed with Capitol Records Nashville, and released his first album, “Learn to Live.” The first single from that album, “Don’t Think I Don’t Think About It,” climbed to number one, making Darius the first African American with a number one country single since Charlie Pride, back in 1983. He followed that one with two more number one singles, “It Won’t Be Like This For Long” and “Alright,” New Artist Award from the Country Music Association, a second album released in 2012, and two more number one singles. That brings us to his third studio album, “True Believers,” which released on May 21. This album has already produced two number one singles, “Wagon Wheel,” and “True Believers”. It is worth noting that the title track was co-written by Darius and Jonesborough native, Josh Kear. The new album includes the singles True Believers, Miss You, Wagon Wheel, Love Without You (featuring Sheryl Crow), Radio, Lost in You, I Will Take You Home (featuring Mallory Hope), Take Me Home, Sine, Heartbreak Road, Leavin’ the Light on, and Lie to Me. Everything Darius does is good. But nothing on this album struck me as great. True Believers is one of the best on the album, and definitely deserved the number one ranking it received as a single. I Will Love You Still, with Mallory Hope, is what you would expect from Darius. It is a romantic song, a little up tempo, but definitely not fast. The addition of Mallory Hope on this song is a treat for country music fans. The much slower Love Without You, which features Sheryl Crow, is a song about being lonely and broken-hearted, but the lyrics really aren’t enough to make you want to hurt, too, when you hear it. 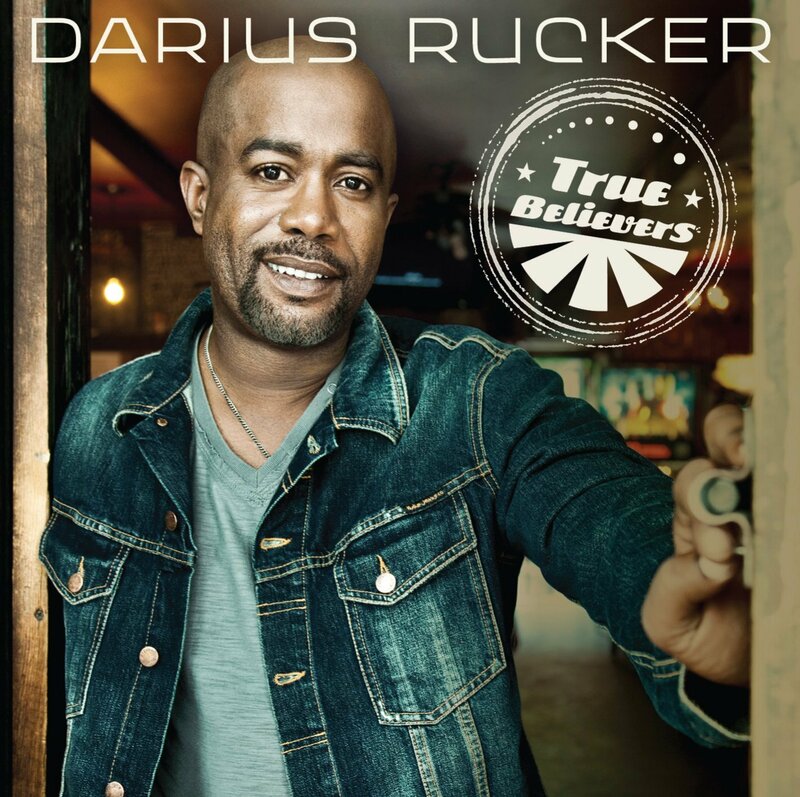 I was a little disappointed in Darius when he recorded “Wagon Wheel,” and released it as a single. The song was great back in 2004, when it was released by Old Crow Medicine Show; and it was great when it was originally written by Bob Dylan. But I really don’t know why someone as talented as Darius Rucker thought he needed to bring it back. I suppose the public was ready to hear it again though, taking the song to the top of the charts in a matter of weeks. The album is good, and anyone who still collects CDs will want this to be part of their collection. Darius wrote or co-wrote 10 of the 12 songs, and on the ones he co-wrote, he is definitely partnered with some of the best songwriters in Nashville. Be sure to visit his website www.dariusrucker.com, and follow him on Twitter @dariusrucker. By Country of Country’s Chatter ( Your Country Music News Source ) www.CountrysChatter.com and in cooperation with Music Charts Magazine.